The wounds inflicted on Gashish, a community in Barkin-Ladi Local Government Area of Plateau State are gradually healing, even as some of the surviving victims still nurse their injuries. Over 350 persons were wiped out during the June 23, 2018 Fulani herdsmen attacks. The gory memories of the incident during which the killer herdsmen invaded the community in broad daylight in a commando style, burning houses and killing many, including children, women and the aged, will ever remain green in the minds of the people. After the attack, where over 38,000 persons made up of children, women and the aged were displaced, those that survived the deaths and the carnage expressed the desire to return home to harvest their crops and reclaim their land which was forcefully taken over by the herdsmen. The Federal Government, through the Vice President, Prof. Yemi Osinbajo had promised to release a N10 billion intervention fund for the rehabilitation of the destroyed farming communities and the resettlement of displaced persons to their ancestral homes. This commitment brought a sigh of relief to the surviving members of the devastated community. 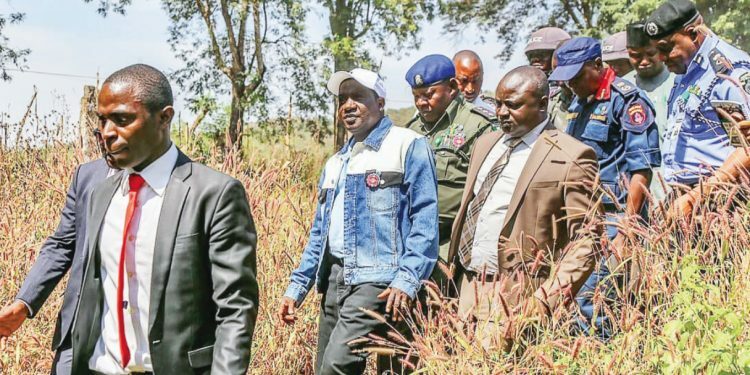 In a bid to get the victims resettled immediately, the state governor, Simon Lalong set up a committee on Resettlement of Internally Displaced persons to take stock of those killed and the number of destroyed communities, and to also suggest the best way to rehabilitate the IDPs to their ancestral homes. The committee, which was headed by Bala Danbaba, a retired Air Vice Marshal, embarked on the rigorous task of visiting all the destroyed villages. The committee submitted its report to Governor Lalong five months after the carnage. The report revealed that 1,801 persons were killed, while a total of 50, 212 persons were displaced in 125 communities across Jos North, Bassa, Riyom, Barkin-Ladi and Bokkos Local Government Areas of the state. All the communities were affected by the attacks. The committee was given a period of one month to complete the assignment but due to the hectic nature of the exercise, an additional month was added. The panel received 55 memoranda and visited 27 camps where the IDPs were quartered. It was gathered that the committee could not visit the IDP camp at Lere, in Dorowa area of Barkin-Ladi Local Government due to tension and insecurity but visited all the affected communities for an on-the-spot assessment. The panel recommended that the IDPs be returned to their ancestral homes, and that the exercise should be carried out in four phases with emphasis on the provision of adequate security in the affected areas. Acting on the recommendation of the committee, Governor Lalong visited Gashish community on Tuesday 13 November, the day after receiving the report. He was there to inspect a site donated by Nigerian Electricity Supply Company for the construction of a facility for a Mobile Police Squadron to provide adequate and sustained security before the IDPs are return. It was confirmed during the governorâ€™s visit that some herdsmen had forcefully taken over land and were occupying houses belonging to the displaced persons in Gashish and neighbouring villages. The governor quickly declared that all those that had forcefully annexed homes and villages in areas around Gashish community were living on borrowed time as a result of the comprehensive security strategy being implemented by the government. Lalong, who was visibly angry with the â€˜foreignâ€™ occupants, asserted that they would soon be pushed out. Said the governor: â€œNobody will take the land from the original owners. If you are occupying somebodyâ€™s land or house, know that you are living on borrowed times. He advised the illegal occupants of the houses and villages to vacate immediately, informing them that government was determined to ensure security in the area and resettle the displaced persons to their original places. The governor expressed appreciation to President Muhammadu Buhari, through the Inspector General of Police, Ibrahim Idris, for granting approval for the establishment of the Mobile Police Squadron in the area. He said the state government was committed to the project, adding that the facility would be ready to enable the Mobile Police Unit begin operation at optimal capacity so that the displaced persons might return to their homes soon. Funds were also released for all secondary school students in the area who missed their school certificate examinations due to the persistent cases of violence in the area. Besides the Nesco facility in the Kusa main office of the company, Gashish community also donated 75 rooms for the temporary take-off of the Mobile Police unit. Mr Bitrus Doro, a community leader, said the community had been clamouring for the establishment of a Mobile Police Barracks in the area for 15 years, and expressed happiness that the dream had come to reality. Mr Lazarus Bewarang, representative of Nesco, listed the property donated by the company to include a block of four rooms and two sitting rooms, and a large hall with seven rooms. Others include a building of six rooms, six sitting rooms and six kitchens, a three bedroom flat, club for recreation as well and a police outpost. Pa Da Bulus Pam, an 82-year-old resident of Ngnar village, Gashis District of Barkin-Ladi Local Government area, applauded governmentâ€™s efforts towards rehabilitating them to their villages. But he complained that he did not have a home, as his house was completely razed during the violent attacks. The octogenarian survived the bloodshed unscathed, but at a great cost. He lost nine members of his family, including his wife, son and two grandchildren. Sunday Malang, 68, who had been willing to return home after surviving the deadly raid with a colossal loss, said the fact that the state government was working hard to beef security before the displaced persons were returned home was a welcome development. But he was infuriated that his crops in the farm were used as livestock feed by the invading herdsmen, as cattle grazed on the crops without restriction across the farmlands in Kuzun village. He said he had no home to return to, as the herdsmen had taken over his house.